The 2012 Treetopia Favorite Tree Sweepstakes, launched in conjunction with Design Milk, gives you the chance to win your favorite Treetopia tree until December 20, 2012! But wait… there’s more! 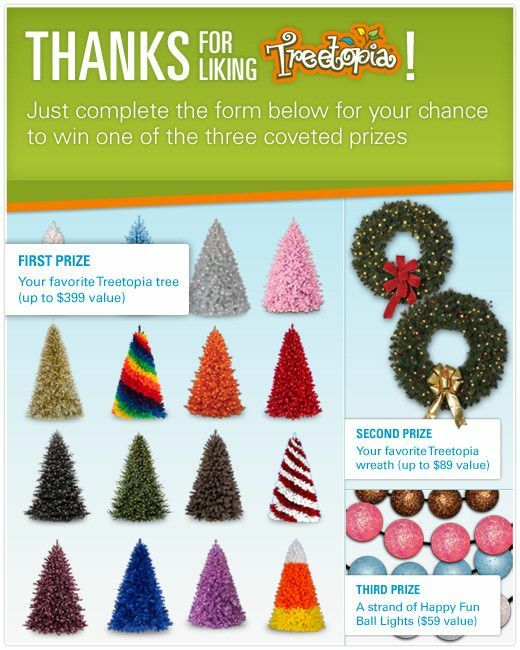 Wonderful prizes are in store for the lucky fans of our amazing trees: the first prize winner takes home his or her favorite Treetopia tree and the second prize winner will receive his or her favorite Treetopia wreath. The third prize winner gets what some may consider to be the best prize of all: a strand of Happy Fun Ball Lights!